The Integration Foundation offers Estonian language studies and practice at the A1, A2, B1, B2 and C1 levels. A wide range of learning opportunities are available, the most traditional of which are language courses. These courses are designed to develop all four skills: reading, writing, listening and speaking. Courses need to be pitched to match the descriptions of the levels on the scale of the European language-learning framework document and therefore to be appropriate for participants at the A1, A2, B1, B2 and C1 levels. They must develop the participants’ skills in expressing themselves both verbally and in writing. In addition to general language (for everyday communication and common work-related topics), the participants are taught the specific vocabulary they will need in their day-to-day lives (relevant to their profession or field, such as customer service). Depending on the level of their language skills, those who complete a course should be able to communicate in Estonian at an elementary, intermediate or advanced level. Registration for language courses takes place twice a year, in January and August. To this end, applicants need to complete a registration form and take a placement test to determine their language level. Over the years, the variety of language-learning opportunities offered by the Integration Foundation has grown. 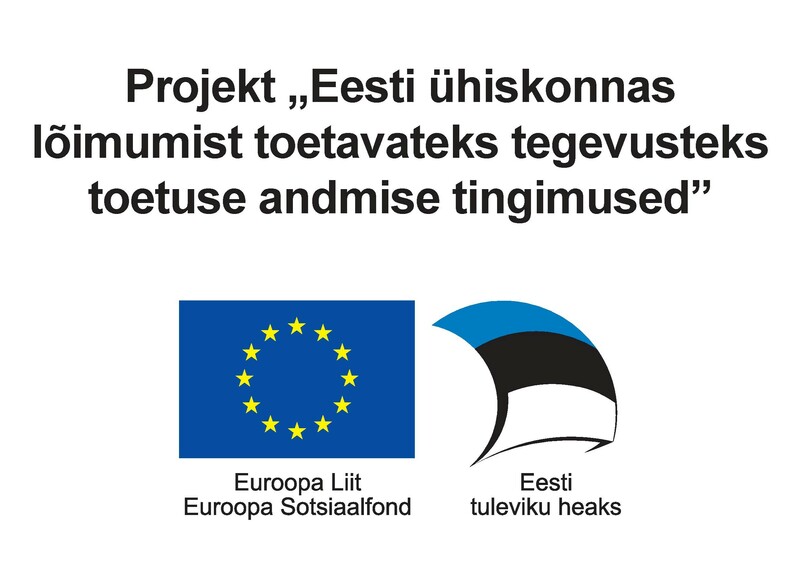 Estonian language studies are financed by the Ministry of Culture and the Ministry of Education and Research, with additional financing in the period from 2014-2020 from the European Social Fund project ‘Activities promoting integration in Estonian society’.